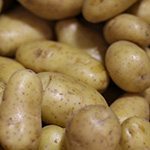 Seed potatoes are usually small potatoes that are certified ‘free of disease’, and for long term growing of the much loved spud these are what you need to use to ensure a healthy crop. 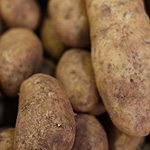 They may look a little small and a tiny bit wrinkled but they will help you grow a healthy crop. 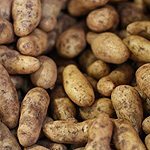 Why grow from seed potatoes? 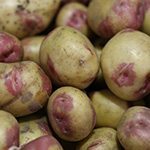 Desiree are a round, pink skinned potato with pale yellow flesh, a good all round potato. 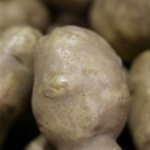 Dutch Cream is a very similar potato variety to Nicola, see below. 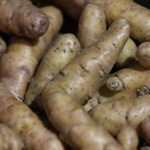 Kipfler are a cigar shaped yellow skinned potato with light yellow flesh. Kipfler are good for salads, boiling and roasting. 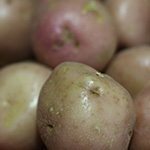 King Edwards are an oval potato white and pink skin with white/pink flesh. 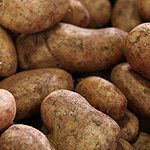 Good for, chips roasting, boiling and as a baked potato. 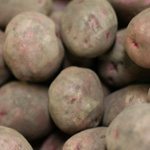 Pontiacs are a round red skinned potato with white flesh, good for boiling, roasting, baking and microwave. 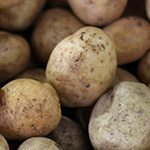 Bintje are an oblong cream skinned potato with light yellow flesh, good for salads, frying and microwave.